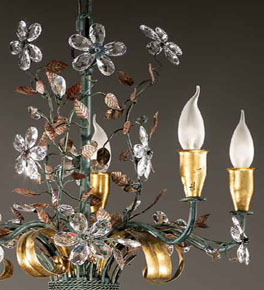 The forged metal details combined with the clear crystal flowers in this collection, create a classic and refined look. This collection includes chandeliers, pendants and floor lamps. Malva is Italian for Mallow - a type of plant.